Professor Sakkie Pretorius joined Macquarie University in July 2013 to take up the role of Deputy Vice-Chancellor, Research. He is internationally recognised as a pioneer in molecular microbiology and biotechnology, and the translation of research outcomes to industry. Professor Pretorius began his career in South Africa. At Stellenbosch University, he established a reputation for innovation and was appointed Professor of Microbiology in 1993. He also became the founding Director of South Africa's Institute for Wine Biotechnology at the same university. In the US and Europe, Professor Pretorius also established a reputation for excellence: he conducted research into molecular yeast genetics at the Albert Einstein College of Medicine in New York and at the Max Planck Institute for Biophysical Chemistry in Göttingen, Germany, and became a part-time professor at the Katholieke Universiteit Leuven in Belgium. In 2003, Professor Pretorius relocated to Adelaide with his family to become Director of Research at the Australian Wine Research Institute (AWRI). He was also appointed Affiliate Professor in the School of Agriculture, Food and Wine at the University of Adelaide. In 2004, he became Managing Director and CEO of the AWRI. 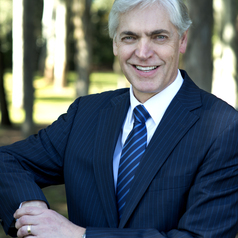 In 2011, he was appointed Deputy Vic-Chancellor and Vice-President : Research and Innovation at the University of South Australia − a position which he held until the middle of 2013. He is committed to academic excellence that creates value and opportunity for students, staff, industry and the wider community. He is highly interested in authentic leadership principles and has completed an executive leadership course at Harvard University in February 2013.